so they are overflowing to Friday this week. I am happy to welcome Victoria Laurie to Escape With Dollycas for the very first time. For me, the very best books are like the very worst boyfriends. You know the kind I’m talking about—those books/boys that you love and hate at the very same time? The kind of good books/bad boys I’m talking about will constantly occupy your thoughts, distracting you in all the worst ways from work, cooking, laundry, cleaning, grocery shopping, spending time with friends and family. You’ll find it hard to focus on anything but that good book /bad boyfriend and you’ll long to know where this is going, but you’ll be afraid to guess too far ahead. Good books/bad boys will keep you up at night, tossing and turning those pages as you say to yourself, “I can quit this good book/bad boy any time I want!” But you can’t. You’re addicted. Good books/bad boys will toy with your emotions. Your heart will race, you palms will sweat, and you may even feel a little light-headed. Good books / bad boys will send a thrill up your spine one minute only to crush you with an honest truth the next. And they’ll do this over and over. You will be loyal, however, even though you’ll alternate between crying jags and laughing fits because, you’ll think the spin of your emotions makes you feel more alive than you have in ages and you won’t want the crazy swirl to end. Good books/bad boys don’t care where you want the story to go—they’ve got a mind of their own. And don’t even think about trying to outsmart them; this ain’t their first rodeo and you ain’t their first cowgirl. Good books/bad boys will fill you with a false sense of security. They’ll start off all sweet, and fun, and fill you with delight. You’ll laugh, smile, and think they’re oh, so charming. And then, they’ll start misbehaving. Things will happen that will make you question your choice in reading material / boyfriends. But still you won’t quit. Nope. You’ll keep turning those pages / seeing that boy, because again, you’re addicted, and you want to see the story through to the end—whatever that may be. But after a time, you’ll know the end is near. You won’t want it to end, though. You’ll turn those pages / send those texts, hoping that there’s more. But soon enough, there won’t be. One day you’ll be on the very last page / send the very last text, and you’ll know…it’s the end. And revisit those moments in your head when that good book /bad boy filled you with a little thrill. When they made you feel alive and a part of something that was separate from your world and part of another that was more vivid and colorful and beautiful than anything you could imagine on your own. And forever you’ll think of them fondly, and you’ll think that you’ll never feel that way again. 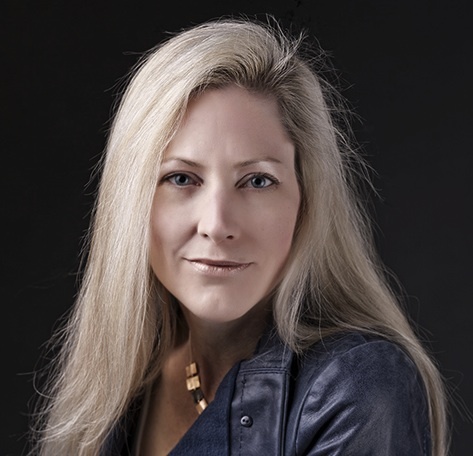 Victoria Laurie is the New York Times bestselling author of over twenty books. With two series in full swing, Victoria divides her time between The Psychic Eye Mysteries and The Ghost Hunter Mysteries. As a professional psychic herself, Victoria knows all too well the tricky world of the paranormal in which her protagonists psychic Abby Cooper, and spiritual medium M. J. Holliday tackle murder, mayhem, and the occasional demon with plenty of plucky humor and determination. You may find Victoria on the web at victorialaurie.com and on Facebook. I love this series – can’t wait to catch up on MJ’s latest ghost adventure. Thanks for the giveaway opportunity. I have been remiss and must catch up. I’d love to win this one. this series sounds captivating and special. Best wishes. thanks. I love this series. Thank you for a chance to win. What a perfect description of certain books. This entire series sounds wonderful. I really want to read this book. It sounds both fun and interesting. 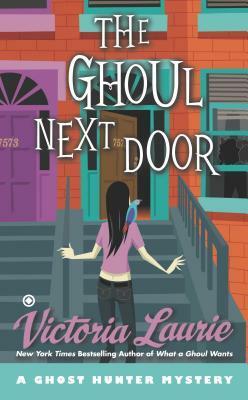 I have not read this series…yet, but then again I’ve just started getting into the paranormal cozies, they are such fun. Adding these to my tbr list. Thanks for the chance to win. I love this series and her other one too!!! Great author! Cute cover. Thanks for the giveaway. I love the psychic medium TV shows so your books should hit the spot! Adding to my wish list. I haven’t read the series but I’m ready to start. I’ve really gotten hooked on psychic mediums and ghost and other paranormals in cozies so I’ve got to try your series. This sounds like such a fun series, I would really love to start it soon. 🙂 THis book looks great! I love this series! I just stumbled accross it a couple of months ago (only on book 3) but its absolutely awesome. Victoria, I love both of your series – they’re suspenseful and well-written and each has the right proportion of humor (different but right for the series and characters.) I discovered them a few years ago and plowed through all the titles my library had. Since then, I’ve been slowly collecting and catching up on the ones I haven’t read. So thank you very much for the chance to win this one! I can’t wait to read this series, I don’t know how I missed it. Thank you so much for the giveaway. How have I missed these? These are now on my TBR list. They’ll go right on the top of the pile! I enjoy stories that have a supernatural twist to them. I look forward to checking this out. Haven’t read any of these. On Paranormal Witness there was an episode where a psychic was trying to find a murderer and she got together with her psychic group to combine their powers. She was then able to psychically catch the murderer. When they caught him he said that he was attacked by a woman who looked like the psychic. Of course, she wasn’t there in person, only in spirit. Looking for a new author to read. I can’t wait to check out one of your books.